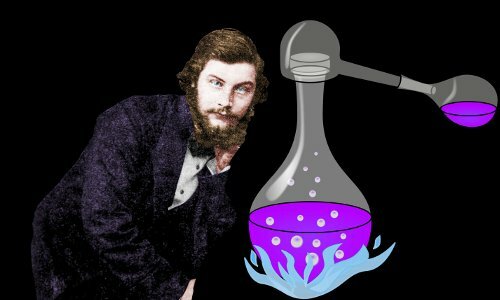 While carrying out experiments at home to produce a synthetic cure for malaria, 18-year-old William Perkin discovered mauveine, a purple dye. To modern ears this might sound humdrum, but in 1856 it was big news because purple dyes had always been formidably expensive – purple clothes were the preserve of an elite: emperors, kings, and victorious generals wore purple as a status symbol. 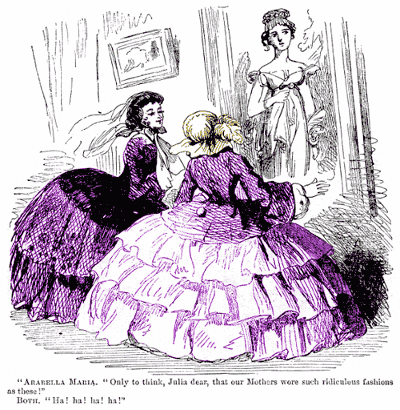 Perkin’s mauveine brought purple clothing to everyone and he grew rich. Until then all dyes had been natural products. Mauveine was the first dye to originate in a laboratory, and very soon dozens more followed. The synthetic dye revolution took the world by storm, transforming textiles, foods, and medicine. William Henry Perkin was born on March 12, 1838 in London, England, UK. His father, George Perkin, was a carpenter of humble origins. Starting from scratch he built up a successful business as a builder and contractor. William’s mother, Sarah Cuthbert, had came with her family to London from Scotland when she was a child. William was the youngest of the couple’s four boys and three girls; all were raised in the Anglican faith. William’s family lived in a large, well-appointed house in a sketchy neighborhood of East London. His parents sent him to a private school, Arbour Terrace School, not far from home. His teachers there observed that he was a highly intelligent boy with a remarkably curious mind: he seemed to be driven to understand how everything around him worked. 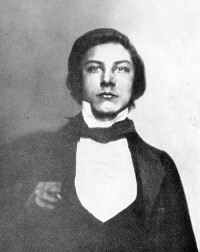 William Perkin: self-portrait at age 14, although he looks older. William enjoyed working with his hands, and thought at first he would follow in his father’s footsteps to become a builder. His father had passed a love of music to his children, and William played the double bass and violin. In more fanciful moments he thought he might form a quartet with his musical brothers & sisters and travel the country giving recitals; becoming an artist also appealed to him. His father, however, had his heart set on his youngest child training to be an architect. At age 12, William took up photography, then in its early days. A friend introduced him to basic chemistry experiments and showed him some crystals. William was stunned by their beauty. From that moment he felt certain that chemistry would be his life. At age 13, he enrolled at the City of London School, where he attended chemistry classes twice a week during lunch hours. His father bought him laboratory glassware to carry out experiments at home. The following year, William’s chemistry teacher suggested he write Michael Faraday to ask if he could attend his lectures at the Royal Institution. The great man replied to William personally and from then on he spent Saturday afternoons at Faraday’s lectures. In 1845, when William was seven, the Royal College of Chemistry had opened its doors for the first time to teach chemistry at university level. Eight years later, when William was 15, his chemistry teacher recommended that he should enroll there. William’s father opposed this fiercely – he was still zealous about William becoming an architect. However, after meeting the college’s director, the renowned German chemist August Wilhelm von Hofmann several times, he was persuaded that chemistry would provide his son with a rewarding career. William would soon exceed his father’s wildest expectations. In 1854, age 16, William put together a laboratory at home to carry out his own research projects. At college he flourished under Hofmann’s wing, publishing his first research paper in 1855: On the action of chloride of cyanogen on naphthylamine. Until Perkin’s time, purple clothing was linked with emperors, monarchs, and great prestige. The natural dye, Tyrian purple, which was used to produce purple clothes, was made from the glandular mucus of a species of carnivorous sea snail. Tens of thousands of snails were needed to make a useful amount of dye, and the dye manufacturing process itself was convoluted. For most people, purple was unaffordable. The color of 6,6′-dibromoindigo, the main chemical component of Tyrian purple. A sixth century mosaic of Byzantine emperor Justinian the Great. Most modern eyes pick out his status from his crown and halo. 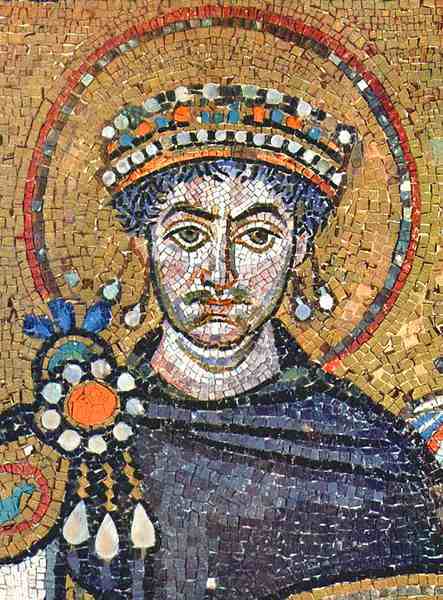 In the eyes of his contemporaries, Justinian’s purple clothing was equally significant. Perkin hoped to use aniline as the starting point to synthesize quinine, an expensive natural compound used to treat malaria – synthesizing quinine was a project Hofmann had given him. Malaria was then a major problem in the West, including southern parts of England. Perkin oxidized aniline in sulfuric acid using potassium dichromate to yield a black substance, which was obviously not quinine. Driven by his old childhood curiosity, rather than discarding the black substance, he investigated it and discovered a purple dye. His laboratory notebooks still exist, complete with his purple fingerprints. Perkin showed his purple dye to his brother Thomas and Arthur Church, a friend from college. Together they moved Perkin’s laboratory to the Perkin family’s garden shed where they produced more of the purple dye and used it to color some silk: they were delighted to see the silk turn a beautiful, bright purple – there had been no guarantee that the dye would fix itself on to the silk. Moreover, the bright purple color was stable on silk: it did not wash away with soap and water, and did not discolor in light. At first Perkin named the dye ‘aniline purple’ or ‘Tyrian purple.’ Chemists later gave it the name mauveine. A sample of silk dyed with William Perkin’s first batch of mauveine. The letter above the silk is from Perkin’s son. Image by Henry Rzepa. William and his brother Thomas continued working on mauveine, producing it in larger, purer quantities. One of Thomas’s friends told him about a highly reputed fabric factory in the Scottish town of Perth, so William sent the owner some purple cloth samples. Soon he received a highly enthusiastic reply from Robert Puller. Puller, whose factory had recently produced silk for Queen Victoria, told Perkin that provided his new dye was not terribly expensive, it would be one of the most valuable discoveries made for a long time. In August 1856, the 18-year-old Perkin filed a patent for his discovery. Perkin now told Hofmann about his discovery and said he would be leaving college to take his discovery to the next level: industrial-scale production. Hofmann angrily told Perkin he was stupid to abandon his education for something so insignificant – he called the new dye ‘purple sludge.’ He said that Perkin, in crossing the line from scientific research into manufacturing, would risk becoming a scientific outcast. However, within a year, the 19-year-old Perkin was elected as a full fellow of the Chemical Society of London. In June 1857, William Perkin’s father invested all of his own money in the purple project and began building the factory that would produce mauveine. It was completed in six months. Meanwhile William solved the myriad of chemical, technical, and production problems that cropped up – a remarkable achievement for such a young man. Full-scale mauveine production could not have come at a better time: in the second half of 1857 the last Empress of France, Eugénie, the most fashionable woman in the world, began to be seen wearing a shade of purple, described by the French word mauve. In January 1858, Britain’s Queen Victoria wore mauve to her daughter Vicky’s wedding. Fashion conscious ladies throughout Europe now demanded mauve for their dresses – Perkin was on a fast track to riches. Perkin’s discovery of mauveine unleashed a torrent of activity among chemists who experimented relentlessly with abundant supplies of coal tar endeavoring to produce new synthetic dyes. Ultimately, thousands of synthetic dyes were discovered and commercialized. Perkin himself discovered ‘Britannia violet’ and ‘Perkin’s green’ among others. In December 1873, Perkin sold his dye-works. He continued research work in organic chemistry, making a number of discoveries, the most important of which was the Perkin reaction to synthesize cinnamic acids, an important group of chemicals used to make pleasant smelling esters for perfume manufacturing and also in pharmaceuticals, flavorings, and synthetic indigo. Innovation in applied chemistry resulting in the outstanding commercial development and a resident of the USA. Perkin, although not a resident of the USA, was the first winner. The Perkin medal is regarded as the highest honor in American industrial chemistry. The Perkin Medal. Image courtesy of the Science History Institute. In September 1859, age 21, Perkin married his cousin Jemima Harriet Lisset. They had two sons: William Henry Perkin Jr., and Arthur George Perkin. Both became distinguished organic chemists. Shortly after Arthur’s birth in December 1861, Jemima died of tuberculosis. In 1864, Perkin married Alexandrine Caroline Mollwo, who originally came from Poland. They had three daughters: Annie, Sacha Emilie, and Helen Mary, and a son, Frederick Mollwo Perkin, who became a distinguished chemist. Perkin was a vegetarian. In later life he became an evangelical Christian, advocating charity and an alcohol-free, moderate lifestyle. He gave large sums of money to charities including churches and the Salvation Army. He continued his childhood hobby of playing a variety of musical instruments. William Perkin died aged 69 at his home in Harrow, London of double pneumonia on July 14, 1907 after his appendix burst. He was buried in the graveyard of Christ Church, in Harrow. His second wife Alexandrine, their daughter Sacha, and son Frederick were added to the same grave after their later deaths. "William Perkin." Famous Scientists. famousscientists.org. 8 Oct. 2018. Web. Image of silk dyed with mauveine by Henry Rzepa under the Creative Commons Attribution-Share Alike 2.5 Generic license. 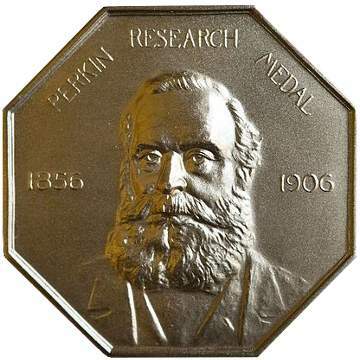 Image of the Perkin Medal by Conrad Erb, Science History Institute under the Creative Commons Attribution-Share Alike 3.0 Unported license.